Winter in Australia is arguably one of the most pleasant of winters you’ll experience in the world. With temperatures rarely dropping into minus numbers, you’re bound to have a good time! In Australia, winter begins at the start of June and finishes at the end of August. In the winter season, cooler temperatures are forecast all across the nation. Though snow is uncommon amongst the majority of Australia, snowfall can be found within some select locations. Snowfall occurs within the mountainous terrains of NSW’s Snowy Mountains, Victoria’s Alpine Region, and the mountainous parts of Tasmania. Within the northern tropics of Australia, the weather rarely drops below 24°C. Though most other areas rarely catch a glimpse of the snow, Australian weather can have quite a few dramatic drops during the day so be sure to always keep some extra layers with you in winter. The Central Australian Regions tend to stay relatively warm with temperatures ranging from 18-24°C range. When exploring Australia in winter, be sure to wear a jacket and scarf to deal with the breeze. With southernmost continental areas hitting an average of 12-18°C, Australia is more than bearable in most regions, although you may need a few layers and a beanie to see you through the cooler nights. The more mountainous areas can drop to as low as 6°C. Note that these temperature ranges are based on averages and actual temperatures may be higher or lower on a day-to-day basis. Rainfall is generally quite low during a typical Australian winter, although millimeters do peak within Tasmania. Rainfall measurements average to an approximate of 14mm in the Northern Territory, which is in the middle of its dry season, to 98mm in New South Wales and 180mm in Victoria. The average rainfall for Australia in 2016 was just over 49.9mm. Australia’s winters are perfect for anybody itching to take on the mountain slopes. With terrain perfect for trekking up the mountain slopes and enjoying snow activities, Australia’s winter is sure to be memorable. The most popular activities for winter include both skiing and snowboarding. By trekking it to the Snowy Mountains of New South Wales, Victoria’s high country or the mountains of Tasmania you’re bound to have a wonderful time. In the Snowy Mountains, the two main ski resort areas are Thredbo and Perisher Valley, which are close to each other. If coming from the north, the road trip to Thredbo and Perisher Valley starts at Cooma on the Monaro Highway Highway south of Canberra. Head west on the Snowy Mountains Highway, making sure to take the turn to Jindabyne Rd and Alpine Way. On the northern side of Mt Kosciuszko, the family-friendly Selwyn Snowfields are located. For Selwyn Snowfields, continue along the Snowy Mountains Highway in a generally northwesterly direction past the town of Adaminaby. From the south, it's the Princes Highway, Monaro Highway and Snowy Mountains Highway to Cooma. From the east, it's the Snowy Mountains Highway to Cooma from just north of the town of Bega between Narooma and Eden on the New South Wales coast. A northerly route from the coast is from Batemans Bay through Kings Highway, then south on the Monaro Highway. Thredbo and Perisher Valley are full-blown ski resorts with accommodation in the resorts themselves or in nearby Jindabyne. There isn’t any accommodation at Selwyn Snowfields. Though skiers can find a place to stay at Adaminaby, which is about 45 kilometers away. In Victoria, ski slopes are actually much closer to Melbourne when compared to New South Wales’ situation. The main resorts are Falls Creek, Mt Hotham, Mt Buller, and Mt Buffalo. 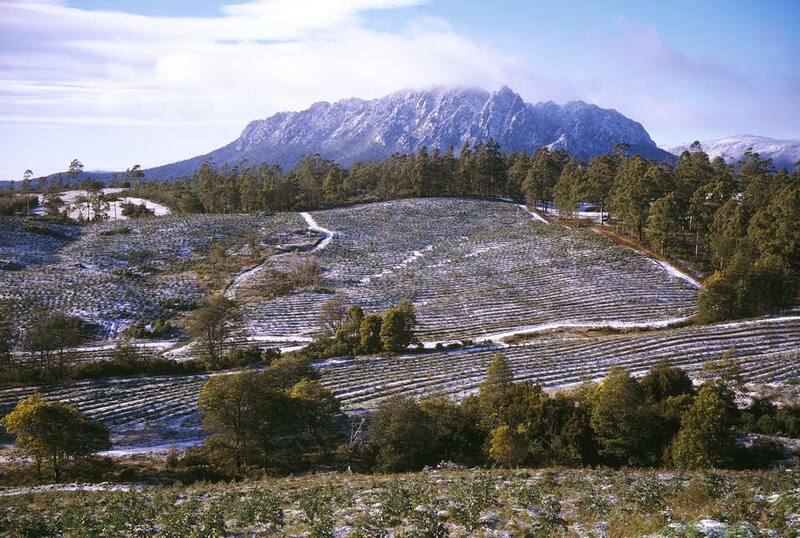 Tasmania has ski slopes at Ben Lomond, Mt Field, and Cradle Mountain National Parks. Anybody preferring to beat the heat during winter can indulge in many of the fine indoor activities that Australia has to offer. By exploring the museums and galleries of Sydney, Melbourne, Brisbane, and other Australian areas, you get a chance to explore both Australian culture and heritage. The Australian national capital itself, Canberra, has much to offer in winter. There are the various theatre offerings in Sydney, Melbourne, and other cities and major towns of Australia and countless small bars for anybody to get cozy in. Of course, there’s always the attraction of simply staying in, having a beer or a glass of wine with convivial company in front of a roaring log fire. The only national public holiday in the Australian winter is the Queen’s Birthday holiday. This holiday takes place on the second Monday in June in all Australian states apart from Western Australia. As Christmas takes place in the Australian summer, the Blue Mountains celebrate its Yulefest in winter with Christmas in July. At Australia‘s Top End, the Darwin Beer Can Regatta usually takes place in July at Mindil Beach. The big Brisbane country festival, the Royal Queensland Show, also known as the Ekka, usually takes place in August.